We look forward to becoming a long-lasting partner in helping you attain healthy teeth and a picturesque smile! Your smile is one of your most valuable assets. At CITIDental Brookline, we partner with you to keep it in top condition. We employ only the most advanced techniques and technology and most experienced dental specialists to ensure your teeth are at their healthiest and most beautiful. 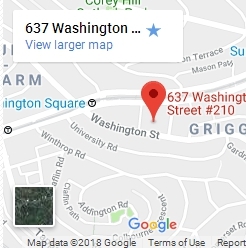 Located in Brookline, MA, we serve patients from Boston, Newton, and the surrounding area. We offer a full array of cosmetic dental procedures, including veneers, implants, crowns and bridges, composite bonding, and many others. We use the most modern technology available to achieve superior results in all of our treatments, including Invisalign teeth straightening systems. Our passionate team is dedicated to doing whatever it takes to improve your smile. You will be put at ease by our compassionate staff from the moment you walk in. We offer you as much information as possible, because we want you to make informed decisions about any procedure you are considering. Our dentists will explain your options and make recommendations without railroading you into a choice you were not prepared to make. Our practice partners with our patients every step of the way. I have always hated going to the dentist. But the staff at CITIDental Brookline went out of their way to make sure I felt as comfortable as I could be. I really felt like they cared about me and my teeth. I will definitely be back. I felt involved in the process here, unlike other places. Instead of speaking down to me or telling me what needed to be done, I was walked through everything. They showed me pictures of what was going on inside my mouth and told me what my options were for treating them. Even though I found out I have a lot of fillings to be done, they did what they could to take the sting out of it. 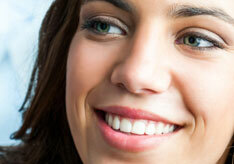 CITIDental Brookline does affordable work and has excellent service. My teeth are happy and healthy in their hands. Everyone here is warm and friendly while maintaining a professional manner. The waiting area was comfortable, my appointment started on time, and the staff were all experts at what they were doing. I wouldn’t go anywhere else. You only get one set of teeth, and they deserve the best care you can give them. CITIDental Brookline has the tools and techniques to create your best smile ever.